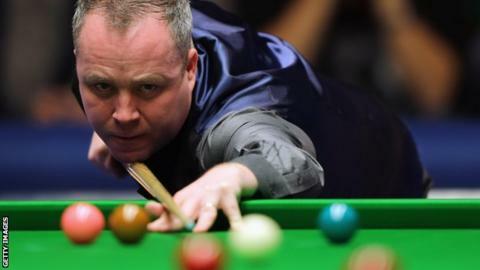 Mark Davis hammered defending champion John Higgins in the second round of the Shanghai Masters, while Kyren Wilson reached a first ranking quarter-final. World number 17 Davis, who beat Higgins in the first round of the World Championship, thrashed the Scot 5-1. Wilson, the world number 100 from Kettering, beat Marco Fu 5-3 and now goes on to face Michael Holt. Elsewhere, Ding Junhui edged past Shaun Murphy 5-4 to set up a meeting with world number one Neil Robertson. Robertson beat Mark King 5-3 and remains on course for his second ranking title in China this season following his success at the Wuxi Classic in June. Higgins, the world number six, became the latest big name to suffer a shock defeat after Judd Trump was beaten by Holt in the first round. "I didn't play very well," said Higgins. "Mark has been in form for a couple of weeks so it was a tough match. I didn't put him under any pressure." Holt, ranked 26, is now one win away from a first ranking semi-final after edging past Martin Gould 5-4. Nottingham's Holt goes on to face 21-year-old Wilson, who eliminated world number eight Stuart Bingham and followed that up by shocking 11th-ranked Fu. "I'm absolutely buzzing, it's a bit of a fairy tale," said Wilson. "I have beaten two fantastic players. I'm very hungry, very young and I want to win." Higgins's conqueror Davis faces the challenge of Xiao Guodong, the Chinese who beat Peter Lines 5-3. World number two Mark Selby and Barry Hawkins will meet in the last eight thanks to wins over Robert Milkins and Ryan Day respectively.